This Quick Steak Marinade is our go-to for grilling strip steak, ribeye, sirloin steak and more! It tenderizes the meat, adds TONS of flavor and can be whipped up in 5 minutes or less! This marinade wins for tender and juicy steak every time! We love to grill and have gone through trying and creating countless marinades over the years. This quick steak marinade is pretty much perfect because it checks all the boxes! These are the things we always look for in a marinade, and this one has got them all! 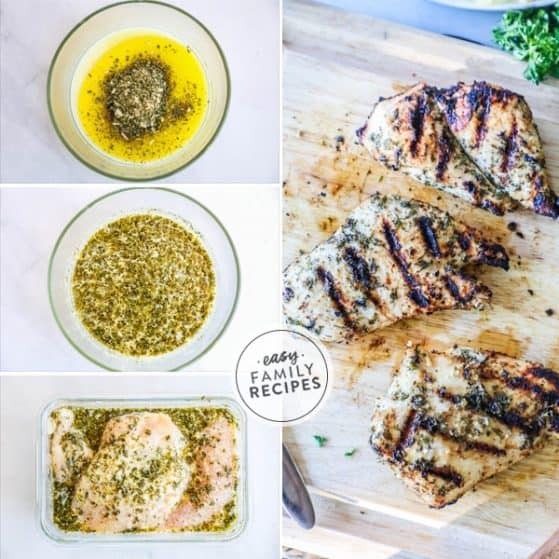 You can use this marinade for all kinds of steak, and I have even been known to use it for chicken too! 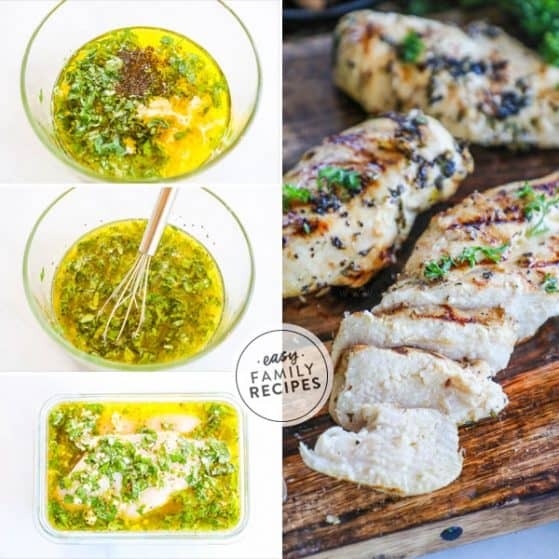 This marinade is quick and easy to make. 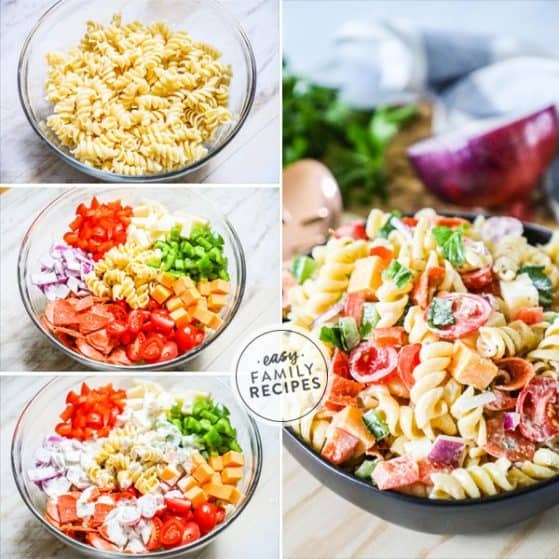 I am going to walk you through this recipe and give you a few of the tips I’ve learned and substitutions, and notes that may be helpful. Make sure to scroll to the bottom for a FULL recipe card. Whisk together the oil, Worcestershire sauce, soy sauce, balsamic vinegar, dijon mustard, and garlic. These are pretty basic ingredients so there is not much room for substitution, however you can use spicy brown mustard in place of dijon if needed. I recommend using fresh garlic through a press for the best flavor. You can buy pre-peeled garlic at most supermarkets to save time. If you enjoy the the taste of balsamic, you can double the quantity to 1/4 cup to get more tangy balsamic flavor. Pierce the steaks all over with a fork then place them in a zip top bag, or air tight container and pour the marinade over the steak. Squeeze the air out and seal the bag. Let marinate for 30 minutes, up to overnight. Marinating at least 2 hours will produce the best flavor. Piercing the steak allows the marinade to penetrate into the meat and help absorb the flavor and tenderize the steak more quickly. If you have a long time to marinate the steak, you don’t need to do this. Try to use a dish close to the size of your meat, or a zip top bag. This helps the marinade to cover and submerge the meat as much as possible. This quick marinade can work in as little as 30 minutes. For the best results, I like to give it about 2 hours, but if you are out of time, 30 minutes will get you some great flavor! Heat the grill to medium-high heat. Once hot, place the steaks on the grill and cook 5-7 minutes per side. Grills all cook differently, so keep an eye on your steak. You want the outside to brown without burning while the inside of the steak cooks. Time will vary based on thickness of steak and level of doneness you desire. Always preheat the grill for the best results! Remove from grill and let rest for 5 minutes. Serve Hot! Letting your steak rest before cutting into it helps to seal in the juices so that they are encased in the meat rather than just running out when cut. Can I use this marinade with other cuts of steak? Yes! This marinade can be used not only for strip steak, but also ribeye steak, sirloin steak, t-bone steak, and other cuts of steak. 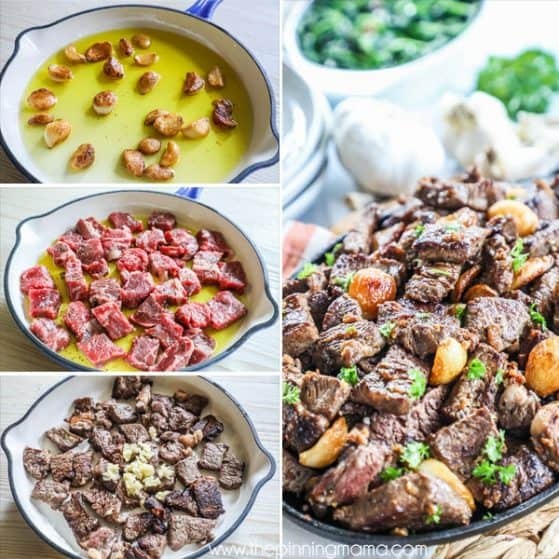 It is really versatile and goes well with most any cut of beef. If you are also having chicken you can use the same marinade for the chicken also. Can I use this steak marinade to cook in a skillet? Yes! 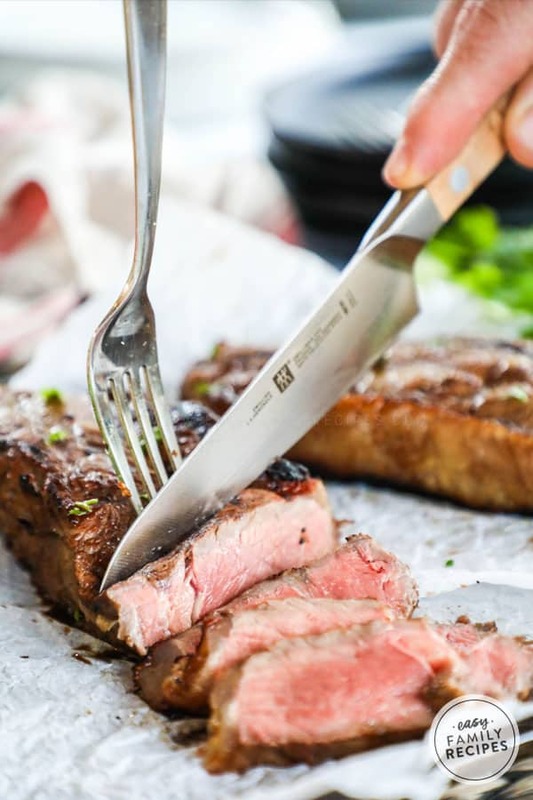 My preference is to cook steak on the grill, but this marinade will flavor steak that can be cooked using the stovetop or your favorite method. Is this steak marinade gluten free? This marinade contains soy sauce and worcestershire sauce which generally are not gluten free. You may be able to find gluten free varieties which would enable you to make this recipe gluten free. Why is my steak dry? Generally, the most common reason steak becomes dry is over cooking. Even the best marinade can’t keep a steak from drying out when it is cooked too long. The best way to cook to your preferred level of doneness is to use a meat thermometer. You can find one at most super stores or on amazon very inexpensively. Why is my steak burnt? Most grills will have hot spots. These are areas where the heat will be more intense. You will need to monitor the steak as it cooks and if you notice a section getting too brown, you can move it to a cooler spot so that it can continue to cook without becoming burnt. Steak is such a great main course and with the flavors in this quick steak marinade, it goes with nearly everything! Here are a few of my favorite classic side dishes to serve along side grilled steak. These are some of our go-to recipes to serve with steak. Pair it with one, or go all out and do a salad, bread, starch and veggie! If you have a favorite way to serve steak, let me (and all of our readers) know in the comments so we can give it a try. 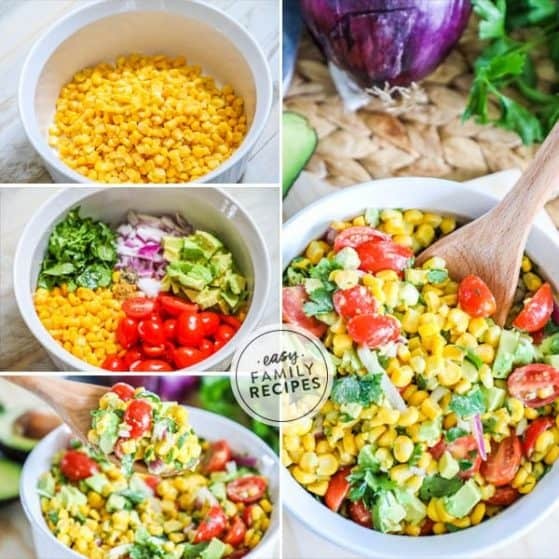 Don’t forget to check out my recipe box for more easy dinner and side dish ideas! This classic steak marinade is quick and easy to prepare and makes the most tender and flavorful steaks! It is perfect for gilling out with the family, or double the recipe if you are expecting a crowd! Remove from grill and let rest 5 minutes. Enjoy! You can use other cuts of steak such as ribeye, t-bone, or sirloin with this marinade. Marinade can be used to cook steak on the stovetop or oven, however the cooking time may change.